When you, as a woman, work in any setting you plan to get treated equally. Unfortunately, the workplace has historically been a place that is incredibly discriminatory against women and this discrimination extends to women who are pregnant, or plan on becoming pregnant. The Pregnancy Discrimination Act (PDA) was written and enacted into law in order to deter any and all discrimination towards women and pregnancy in the workplace. It was added as an amendment to Title VII of the Civil Rights Act of 1964. Habits are hard to break, and while many employers do follow the law, there are still some that discriminate against women who are pregnant, or planning on becoming pregnant. Women in who work in Stockton are not immune to discrimination and when they face it, they need an attorney who is experienced in workplace pregnancy discrimination cases. Without a pregnancy discrimination lawyer, that woman may not know how badly her rights were infringed and, if she decides to file a lawsuit without a Stockton attorney for employee pregnancy discrimination she might miss out on the maximum possible compensation available to her. Where can I find a lawyer in Stockton for workplace pregnancy discrimination issues? Can you sue your employer for workplace employment discrimination? Pregnant employees, and those recovering from childbirth, abortion, loss of pregnancy, or other pregnancy-related treatment, who need tie off from work must be treated the same as other disabled employees who need time off to recover from an injury. Additionally, women who are pregnant, or plan on becoming pregnant, must be treated the same while they are in the workplace. For example, if a temporarily disabled employee is able to return to the workplace and regain full seniority and benefits and salary after their recovery, then the same must apply for women who return after their pregnancy. This does not mean that pregnant employees are entitled to special treatment that is not extended to disabled employees. For instance, if it is company policy to suspend benefits to a disabled employee, then the pregnant employee must also accept the suspension. When employees are pregnant and work during their pregnancy, discrimination based on pregnancy is unlawful. 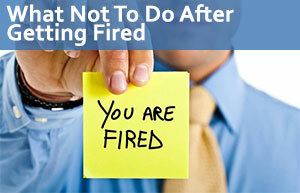 This extends to all facets of employment – from the interview and hiring process to the promotion and firing process. An employer cannot refuse to hire or promote a woman simply because she is pregnant and will require to take time off to rear her child. There are many stereotypes about what a pregnant woman is or is not able to do, and it is illegal for employer to act on those preconceived notions. There is a promotion available and you know that you are the most qualified for the job. As it so happens, you are also pregnant and expecting within the next two months. Your meeting with your employer is going extremely well until he says that your pregnancy may be an issue. He says that because of your newborn baby, your attention may be divided between the position and your baby. He then gives the promotion to another, less qualified coworker because of your pregnancy. It is unlawful to do this. Your pregnancy cannot influence your employer’s decision. And because your employer directly stated your pregnancy as the reason, it will be easier to prove your case. You have very recently and accidentally become pregnant. Because of personal reasons, you decide that carrying the fetus to full-term is simply not an option and decide to undergo a safe and legal abortion. You then need a day or two off to recover from the procedure. Your employer then finds out you had the abortion and fires you because of their antiquated religious beliefs. It is against the law for your employer to affect your ob status because of pregnancy or any pregnancy-related operation including abortion. When your employer discriminates against you because some pregnancy-related issue, your first reaction might be to take them to court and get the restitution you rightly deserve. But it is not so simple. The reason being that discrimination lawsuits have a proper procedure that must be followed before anyone takes an employer to court. In order to properly sue your employer, you must first file a charge against them with a government employment agency. Either the Equal Employment Opportunity Commission or the Department of Fair & Equal Housing. The Equal Employment Opportunity Commission (EEOC) or the Department of Fair & Equal Housing (DFEH) are the federal and state agencies, respectively, to which you must submit a discriminatory claim in order to sue your employer. Both agencies are available to anyone looking to file a lawsuit against their employer for any kind of discrimination or harassment, including pregnancy discrimination. To file a charge, you must submit the necessary paperwork to either agency. The agency which you choose will then make a duplicate copy of your claim. The duplication process is known as dual filing and serves two primary purposes. The first being organization. By sending an identical copy of your claim to the other agency, it deters the agencies from spending twice the time and resources focusing on your charge. The second reason is to serve you. By having your charge under both agencies, your rights are protected to the full extent of the law. Most crimes have a statute of limitations. A statute of limitations is the amount of time you have to file a lawsuit or charge against your employer. Once the statute of limitations runs out, your case no longer holds any validity and will most likely be thrown out. This is why it is important to hire an attorney from Stockton law firm with experience in pregnancy discrimination cases. A good attorney will tell you that you have 180 days from the day you experienced the discrimination to file your charge. If the discriminatory behavior and actions continue and are, or were, an ongoing issue then you have 180 calendar days from the day you last experienced discrimination. The statute of limitations can increase to 300 days calendar days under certain situations. One such example of when the statute of limitations increases to 300 calendar days is when both the state and federal anti-discrimination laws protect against a certain type of discrimination. For instance, it is against federal law to discriminate against pregnant women. Likewise, it is against California state law to discriminate against pregnancy or any medical issue relating to pregnancy. Thus, in the state of California you have 300 days to file your charge against your employer. The California Labor Law Employment Attorneys Group is here to seek out justice and ensure that victims of employee discrimination, harassment, assault, or any other crime receive the compensation they deserve. We offer free legal consultation. This means that you can sit down with one of our attorneys and they will listen to the facts regarding your case. Additionally, they will answer any questions you may have regarding the legal process because we are here for you. We want you to have all of the necessary information regarding the law because it is important that, when you make a decision regarding legal counsel, that decision is based off factual information. We also offer the zero-fee guarantee. This means that we will not charge you for our legal services until we have completed our job: that means that we have proven your case and gotten you the necessary compensation you deserve. If we cannot do our job and prove your case, then we do not charge you. Contact our Stockton attorneys today to see what we can do for you.